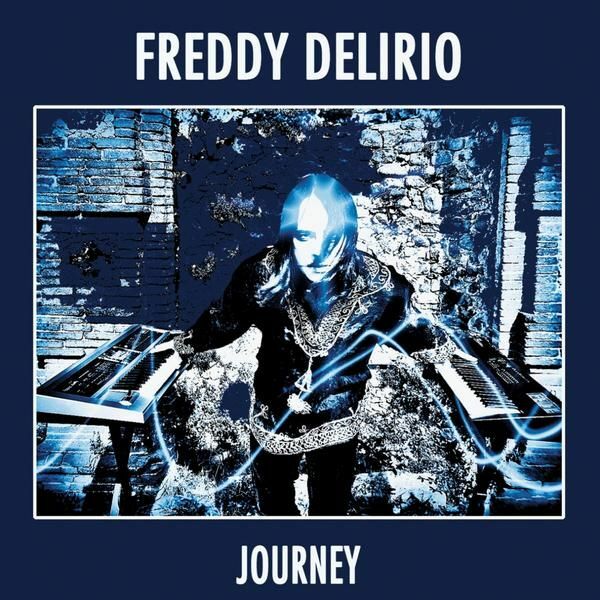 Freddy Delirio is the pseudonym for Federico Pedichini, Italian philosopher, musician, sound engineer, and producer. He was the keyboardist for Italian cult band Death SS and the lead singer for the hard rock band Harem. In 1992 he recorded a number of keyboard/synth instrumental pieces, Journey, to critical acclaim. Now Black Widow has reissued Journey with three bonus tracks. There is a huge difference between the ten original tracks and the three bonus tracks recorded a few years later. The first ten tracks are very similar to the electronic keyboard music in vogue in the late 80s/early 90s, but with a darker edginess to it. I hear hints of Jean Michel Jarre and post-Force Majeure Tangerine Dream. The opening track “Dark Forest” kicks off with a cathedral-like organ that showcases Freddy’s keyboard chops. This song segues seamlessly into the next “Lucifer Seats à Droite,” which is also included on the disc as a video. “Lucifer ...” plus “Dreamland” and “Witches’ Sabbath” appeared on the soundtrack to the Italian horror movie The Darkest Night. There is some diversity in the music as Freddy runs through hard rock, progressive rock, symphonic rock, and classical music, all thirteen tracks are in the two to four minute range. The original final track “Casanova” has a distinct Baroque vibe with a harpsichord line running throughout. Though, I have to say, hands down, the best tracks on the disc are the three bonus tracks: “Desire,” “Scarlet,” and “Starlight.” These last three tracks are symphonic piano and synthesized orchestra gems, worth the price of the disc alone.